The 2013 event was held on Sunday 11th August in sunny conditions. A total of 13 teams entered. 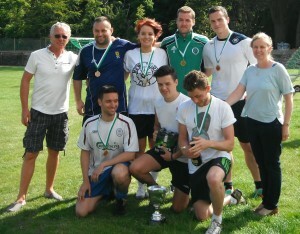 The event was won by ‘The Wolf Pack’ with runners up being ‘Doing it for Jamie’. Thank you to all who supported this event be it players, tea-makers referees and donors.